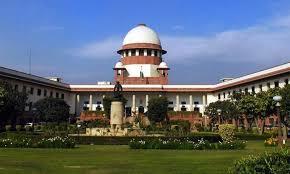 The Supreme Court has ordered the removal of age limit for the IIT JEE examination or the Joint Entrance Examination, JEE Advanced 2019. The candidates of all ages who were earlier not permitted to appear for the examination may now do so. However, there is not much clarity about this move that how the order would be implemented and from which year. With the order, the effect would also lead to removing the age limit on JEE Main examination. Since one attempt of JEE Main 2019 examination has already been conducted by NTA for the year, how would age limit be removed is still to be seen. JEE Advanced 2019 examination is scheduled for May 19, 2019 and would be conducted by IIT Roorkee, 2019.